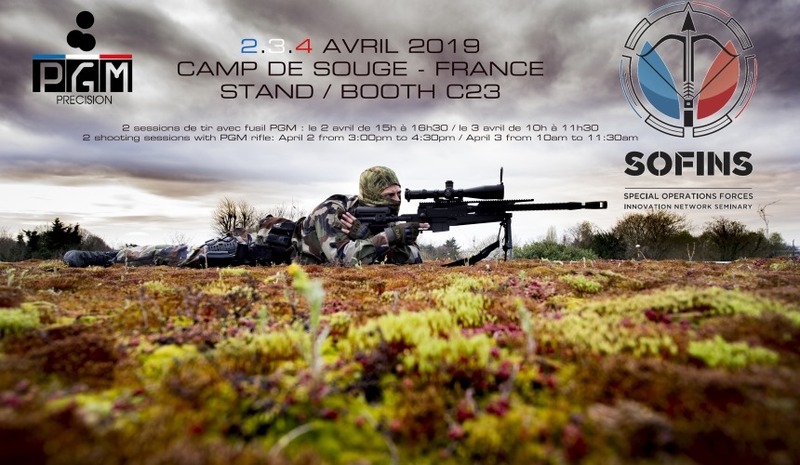 This year, PGM will be present at the SOFINS exhibition in Bordeaux on April 2, 3, and 4, 2019! Visit PGM at BOOTH C23! There will also be shooting sessions with PGM rifles on Tuesday, April 2 from 15:00 p.m. to 16:30 p.m. and Wednesday, April 3 from 10:00 a.m. to 11:30 a.m at SOFINS. Registration for shooting sessions will be on your personal space on the SOFINS platform. This entry was posted in SOFINS and tagged PGM Precision. Bookmark the permalink.